A delicious Caramel Cake drizzled with decadent caramel and caramel corn . Yum Yum………. Our Cake and Desserts are hand made using quality ingredients . PLEASE NOTE: Order by 12 pm to deliver the following day. We accept orders in advance for up to a year, plan your gifts all at once . Gift wrap this item for $10.00? 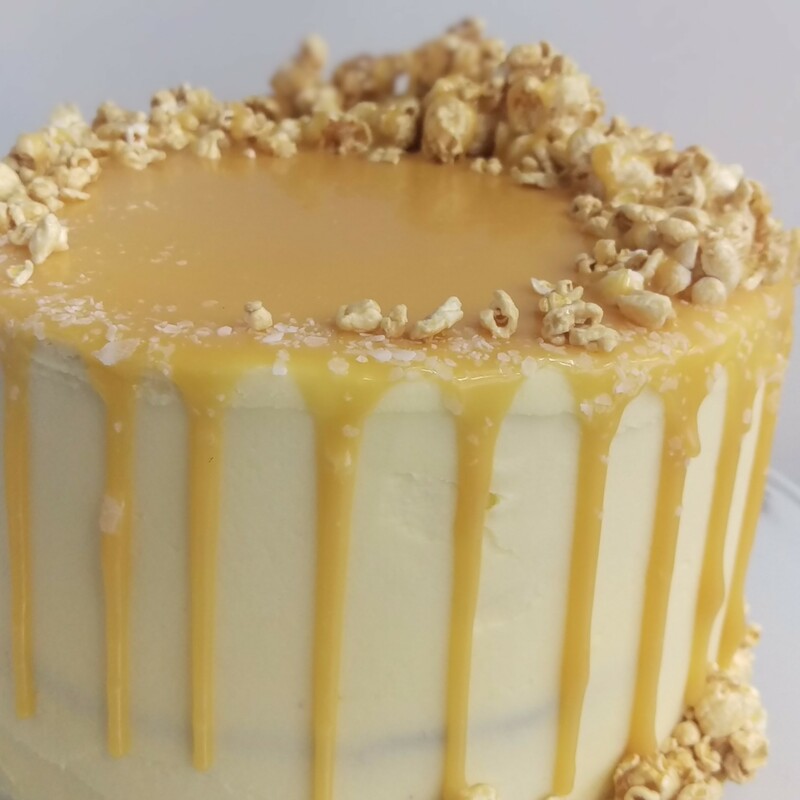 A delicious Caramel Cake drizzled with decadent caramel and caramel corn. Yum Yum………. This cake flavour can be changed to incorporate the same style but different tastes . Discuss with our cake designer .